Save money and conserve energy by taking advantage of our lighting retro-fit services. By improving the efficiency of your lighting infrastructure you can lower your energy use and the cost of doing business. As the old T-12 lamps and magnetic ballasts are becoming obsolete, retro-fitting to T-8 is the best solution. T-8 lamps last longer as well as put out cleaner light. They are equipped with electronic ballasts which are better for the environment. And best of all, customers who choose to retro-fit reap financial benefits due to reduced energy expenses. We also provide Light Emitting Diode (LED) retro-fitting. LED lighting is the cutting edge of technology with unparalleled savings to the end user. LED lighting can be used for both interior and exterior applications such as wall pack and parking lot lighting. 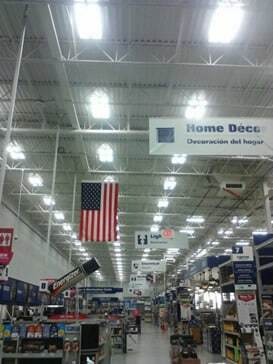 LED’s can also replace outdated and dangerous neon and cathode outline lighting and signage.